The author of Playing with Matches talks book deals, dating, and finding a match who gets your quirks. I had written a novel about a young matchmaker in New York City after I graduated from college; the fall and winter were creeping by at an excruciating pace while what felt like every editor in Manhattan rejected my manuscript. Adam was a good way to distract myself. We had recently met at the Matzoball, the annual Jewish singles’ dance held on Christmas Eve. My parents had met at the inaugural Ball exactly 29 years earlier—the adorable coincidence made me secretly believe that Adam and I were destined to fall in love and get married. Unlike the early days of my parents’ courtship, however, Adam mostly dialed me at 10 p.m. three nights a week and asked if I wanted to come over for drinks in his apartment building’s hot tub. I thought that pretending I didn’t care about things like commitment or—ew, gross—marriage would trick Adam into liking me more. “Who knows.” I shrugged, took an enormous bite of my taco, and hesitated before I admitted how I really felt. “I know this is kind of dumb, but I really, really want to get a book deal and be published before I’m 25,” I told him. At the time, I was 23. I wouldn’t turn 25 for another year and change. I could envision glossy magazine headlines heralding me an “ingénue” or a “wunderkind.” Logically, I understood it was an enormous achievement to get published at any age. But I wanted to feel young and special and rare. It’s mortifying to admit, but the idea of having a book out in the world at 23 or 24 had taken on a feverish sheen in my mind. It was ridiculous: 20 editors had rejected me. I only needed one to say yes to make my dreams come true. And I was starting to lose faith that it would ever happen. I was refilling my Solo Cup when a friend barreled toward me. He was exuberant, grinning, and drunk. “Lara says everyone’s so excited to do your book!” he said, wrapping me in a bear hug. My heart started to pound. His roommate happened to work at one of the publishing houses that was considering my manuscript. Lara was not, in fact, at the party. My friend clammed up, refusing to say anymore. I was dizzy with anticipation and desperately wanted to plop down on the couch with someone to dissect the clues in every syllable my friend had said. I checked my phone to see if Adam had texted me. Zero new messages. Three torturous days later, I was at work when my agent delivered that long-awaited news: I had gotten a book deal! An editor at Touchstone Books wanted to work with me! I was going to be published. I slid down to sit on the floor of the elevator bank and tried to catch my breath as my agent explained everything. She told me the book would likely come out during the summer of 2018. “What about spring?” I asked, thinking about my birthday in April. Throughout the day, I called my family to share the news. One of my best friends happened to be flying into New York that very night to spend a few days with me, and I couldn’t wait to tell her in person. While I waited for her flight to come in, I called Adam and told him in a sing-song-y voice that I finally got my coveted book deal. He congratulated me, but there wasn’t quite as much cheer in his voice as I had expected. It didn’t matter: I felt high on pure joy and asked him to swing by my apartment that night to celebrate with my friends and me. It was kind of a big deal—he had never met my friends—but I figured this occasion warranted it. He showed up an hour late, after we had already popped a bottle of champagne, with a bouquet of pink roses, a second bottle of champagne, and a bottle of vodka. For the first time all day, my heart sunk just a drop. It felt absurd for him to tease me about my age, especially because he’s a full decade older than I am, and what had he accomplished by 25? Nothing particularly special. But I didn’t tell him the nickname bothered me because I didn’t want to ruin the celebratory mood. Over the next few months, I was swept up in edits. The work was tough, bordering on tedious, but I was so thrilled to do it. My book was coming together. And that was for the best because Adam and I were fizzling out. In April, he showed up two hours late to my birthday dinner. His gift to me was a deck of cards with various prompts to fix writer’s block printed on each one. If we had only known each other for four weeks, it would’ve been a sweet present; at four months, it felt like a thoughtless trinket that he grabbed last-minute at a bookstore because he didn’t know me well enough to give anything more personal. By May, he started blowing me off, and when he did reach out to me, I was too annoyed to answer. He finally broke up with me over the phone. Maybe it was simply a coincidence or maybe it was karma, but not long after the breakup, my publisher chose a publication date for my book: June 26, 2018—Adam’s 35th birthday. By October, everything had changed for me. Instead of feeling sad about Adam, I was swiping fiendishly through five different dating apps; after six years of living downtown with roommates, I moved uptown into my own place; I left behind my beloved job as a writer at Seventeen.com for a new adventure as a dating editor at Elite Daily; I finished two grueling rounds of revisions on book. I no longer felt like I had anything to prove or anyone to impress. And that’s when I met Saul. I was on Tinder at work one morning to look for sources to interview about dating. 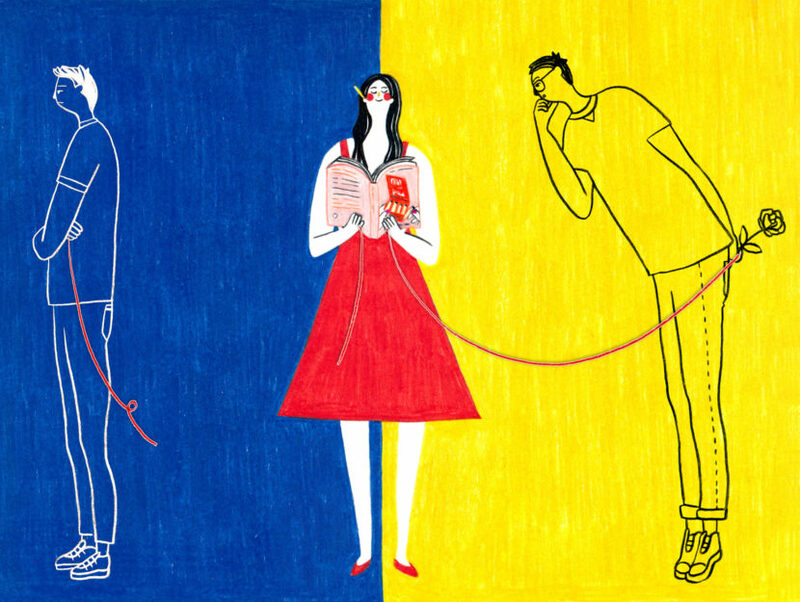 I matched with a cute guy in glasses whose bio read, “6’1” with a dog, a Netflix password, and pizza.” I briefly interviewed him over the app and figured that would be the end of our conversation. But two weeks later, we bumped into each other again on Hinge, where he happens to work. This time, he asked me out for cocktails. Before we even finished our first round of drinks, I knew I was falling for him. He made me feel like a more electric version of myself. We talked for five hours straight that night, and have been talking ever since. I love Saul for so many reasons—how incredibly comfortable I am around him, how frequently and loudly he makes me laugh, his inexplicable obsession with microwaveable noodles, and how he’s so supportive of my work as a writer. He devoured a galley of my book in a single weekend; he says my ambition is one of the sexiest things about me; his favorite running joke is that I’m the next J.K. Rowling. My confidence isn’t even that high. But his is. The day my book published in June, he arranged a surprise celebration with 20 friends on a hotel rooftop overlooking Manhattan. I’ve never felt so surrounded by love. In April, two months before my book published, I had my 25th birthday party in the back garden area of an East Village bar. Surrounded by all my friends, glittering string lights, and flutes of free champagne, Saul gave me a gift I will never forget. He had reached out to my family to get a copy of a short story I had written when I was in elementary school. It was called The Barnyard Detective Agency and it was about a coffee-drinking cow who solved mysteries. He had it printed and bound into a book of his own design. He created a custom cover and came up with fake promotional blurbs from celebrities on the back. The book is even available for purchase online. The publication date was listed as nine days before my birthday. I teared up instantly. Human desire is an embarrassing, messy, illogical thing. I’m embarrassed that I placed so much emphasis on something so arbitrary. It was silly of me to get so hung up on achieving a certain goal by a certain age. Ultimately, I’m glad I got over it. But even more importantly, I’m glad to be with a person who not only understands my quirks but celebrates them. This is Part 1 of our Love, Stories series. Read the others here! 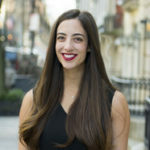 HANNAH ORENSTEIN is a dating editor at Elite Daily and the author of Playing with Matches. Previously, she was the assistant features editor at Seventeen.com. At 21, she became the youngest matchmaker at a top dating service. She’s also written for Cosmopolitan, Marie Claire, Refinery29, Bustle, and more. She lives in Manhattan with her fat cat, Eloise, and 37 tubes of red lipstick.